Having led the men’s Metropolitan pennant series from the outset, the Otago Club team finished in style beating St Clair Blue 5-1 in the 2018 final at Balmacewen on Saturday. The young St Clair team came into the final with six straight wins and a half but found Otago a tough prospect in the final. Otago No1 Ben Patston made an impressive start to turn three ahead of Cody McMullan at the turn. McMullan showed improved form coming home but left-handed Patston gave him no chance of getting back in the game, which eventually finished on the 15th green. 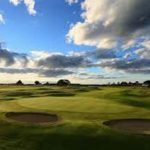 Otago Club selector Jason Hughes was the only team member to trail early and was two down to St Clair No2 Conor Jamison on the front nine. But Hughes hung in on the homeward run and the pair agreed on a half when Otago had already taken the honours. Otago No3 Brandon Hodgson was too strong for Jakob Bleach, turning 3-up and winning 5 and 4. This gave Hodgson his seventh win in this year’s series with only one loss from his eight outings. 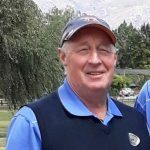 Unbeaten Otago No4 John McIntee, who has built an impressive record of seven wins and a half, beat Joseph Hancock with three holes to spare on Saturday. He turned one ahead but his experience told on the homeward nine and he forged ahead of his younger opponent. 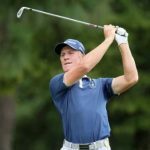 Otago No5 Duncan Croudis went into the final with eight wins but could not continue this run against former Otago provincial No 1 Tony Giles. This was the second match to finish with an agreed half after it was evident the Balmacewen team had already won. Otago No6 Tyrone Ratahi capped off a solid season by beating St Clair’s Ross Colquhoun on the 15th green. St Clair entered two teams this year and has used a total of 25 players without the services of former provincial representatives Brent McEwan or Chris Snow. With the top four players in St Clair Blue all under 21, the club has a monopoly on junior talent and is building a team for future success.